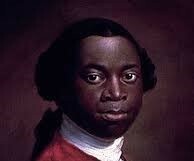 This primary source is a first-hand account of the Middle Passage from Olaudah Equiano. Equiano was stolen from his home in Africa at age eleven, transported to the colonies, and sold into slavery to the British Navy and then a Quaker merchant. He eventually purchased his freedom in 1766 and wrote about his childhood experience. What emotions does Equiano express in his description of the Middle Passage and why?